This itinerary is based on our preferences. With only 3 days, we wanted to be in three provinces and maximize our money and time. There are so much more left to explore in these provinces. 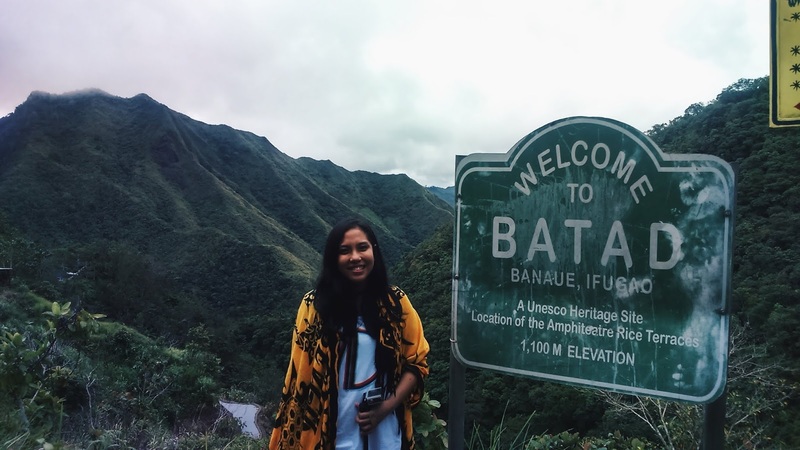 We wanted to skip the touristy spots so we took our travel refuge and used our time exploring Ifugao since it is one of the places less traveled. 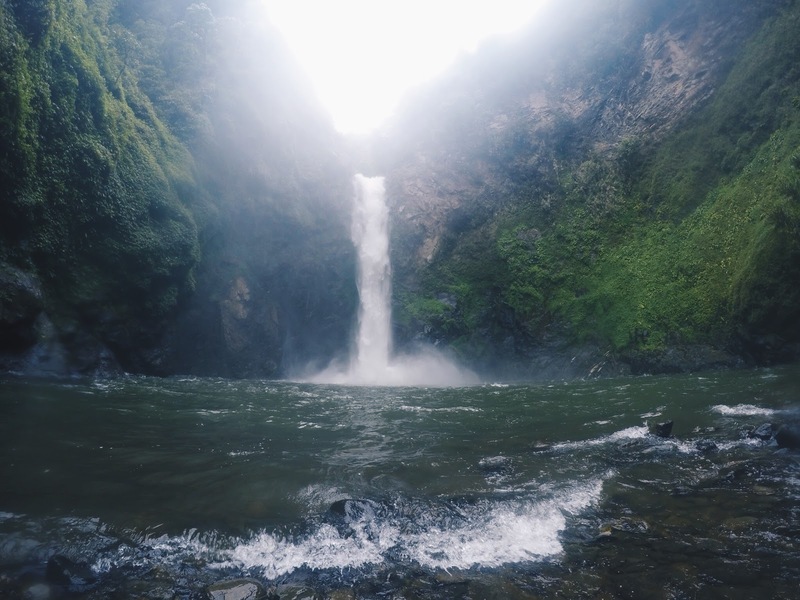 The ideal route would be heading to Ifugao first. Travel time from Manila to Ifugao would take 8-9 hours and Ohayami Bus Trans is the most accessible bus company heading straight to Banaue, Ifugao. This bus company only have 2 schedules of trips per day: 9:00pm and 10:00pm. 🚩Manila to Banaue: 8-9 hours via bus | 450PHP | Ride the Ohayami Bus. It has the direct route headed to Banaue. It has daily trips at 9pm and 10pm with arrival time of 6-7am the morning after. It is located at J. Fajardo Street corner Lacson Avenue in Sampaloc, Manila. (02) 516 0501, 0927 649 3055 Tip: Book in advance. It’s hard to be a chance passenger for this bus. Ifugao is famous for its Rice Terraces, our Filipino hagdang-hagdang palayan. I highly suggest booking a lodge before arriving in Banaue. Most of these lodges offer transfer to and from the terminals as well as tours going to the scenic spots. 🚩Batad Tour: 5 hours depending on your pacing | 2200PHP | Inclusive of the van, Lawang & Batad Rice Terraces, Tappia Waterfalls. We started the hike at 10am and ended at 3pm. We got the tour at Uyami Lodge. 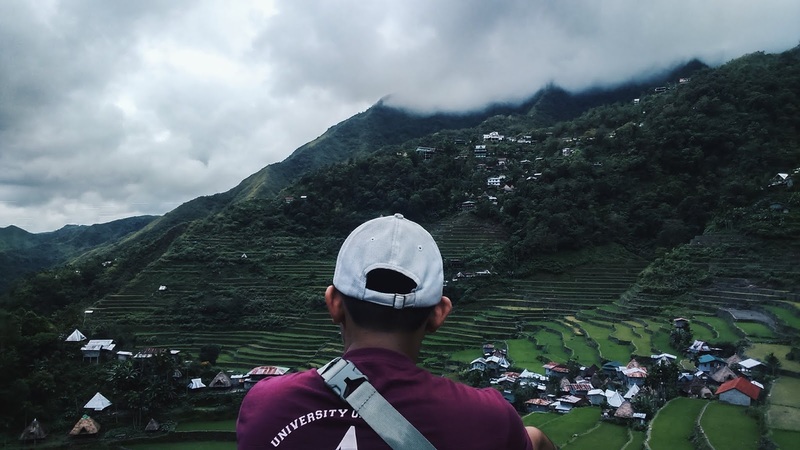 The Batad Tour is good for 5 people. Sagada is main tourism spot in Mt. Province, ideal for that thrill-seeking adventure. We were just passing by Sagada since we were heading to Baguio. We arrived around lunch time and the first (and only) bus heading to Baguio is at 6 in the evening. We were restricting our budget so we try our best to stick to the cheapest and free tours. 🚩Batad to Sagada: Roughly 4-5 hours via van | 250PHP | Head to the town proper, specifically the market. You have the option to ridea jeepney bound to Bontoc (150PHP) and another jeepney going to Sagada (100PHP); or with van that will get you straight to Sagada. We picked the latter part. 🚩Environmental Fee: 35PHP | Once you arrive in Sagada, look for the Tourism office near the barangay Hall. From there, you can get tours for different tourist spots and fix your own itineraries depending on your liking. 🚩Sagada Echo Valley Tour: Roughly 1 hour of hiking to and from barangay hall | 100PHP | This is the only tour we took because we only have a limited time in Sagada. 🚩Pottery Entrance Fee: Roughly 40 minutes of walking | 50PHP | We didn't get a tour here. We mainly followed the map. 🚩Pottery Tutorial: 100PHP | This is optional. We were intrigued and had Cheloi try this one out. 🚩Sagada to Baguio: 5-6 hours via bus | 182PHP | We waited for the Lizardo Bus headed to Baguio City. It is the only bus going to Baguio that time and it will leave at 6pm. 🚩Baguio to Tam-awan Village: 15 minutes via taxi | 70PHP | This is where we booked our accommodation. 🚩Check in Accommodations: Tam-awan Village | 1000PHP | We booked an Anaba hut at Tam-awan Heritage Village. Baguio is the summer capital of the Philippines. Being the exception of the hot and humid Philippine weather, Baguio is the Filipino's go-to mountain city. Whenever I think of an out-of-town chill place, I think of Baguio. The cold weather releases tension and stress. 🚩Tam-awan Village: free | since this is our accommodations, we get free entrance fee to this cultural village. It’s easy to roam around Baguio. We did a lot of walking to lessen our expenses, but taxi fares ranges from 50PHP-200PHP. Total: 5892PHP for solo-traveler; 3807PHP per pax for 2pax travelers. ↠ Book your hotels and bus trips beforehand. I always say this when going on trips, most of the time I do it. (Yes I know I should follow my own tips) But for this trip, we only pre-booked two. One is the bus heading to Banaue, Ifugao, and the other is the lodging at Uyami Greenview Lodge in Batad. The rest of hotel bookings and bus trips were done as we go. ↠ Bring a jacket and an umbrella. ↠ Always bring extra cash. ATMs are available in Baguio only. 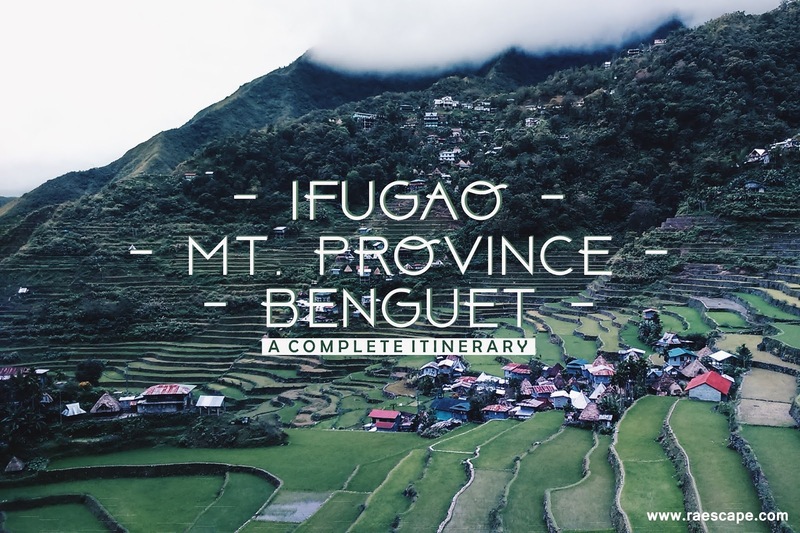 ↠ Ifugao: I highly suggesting booking a tour instead. This will take you to where you want to be as well as include the vehicle and petrol. ↠ Baguio: Walk!! Or you can hail taxis for a cheaper price (compared to Manila). ↠ Places to eat: most of them are karinderia and these are the cheapest choices! ↠ Book cheap hotels near city centers and transport terminals for accessibility. RAESCAPE contains affiliate links in the website. By clicking and purchasing through this links, I get to earn a small commission to help me run this website without extra cost to you. Thank you for helping a fellow traveler and say yes to adventures! Read about the Disclosure here. Wow that is one serious roadtrip! But it looks amazing and can't believe how you managed to do it so cheaply! I love rice terraces and have seen the ones in Bali and Sapa but not in the Phillipines. One day I shall make it to this beautiful country. That waterfall looks awesome too. 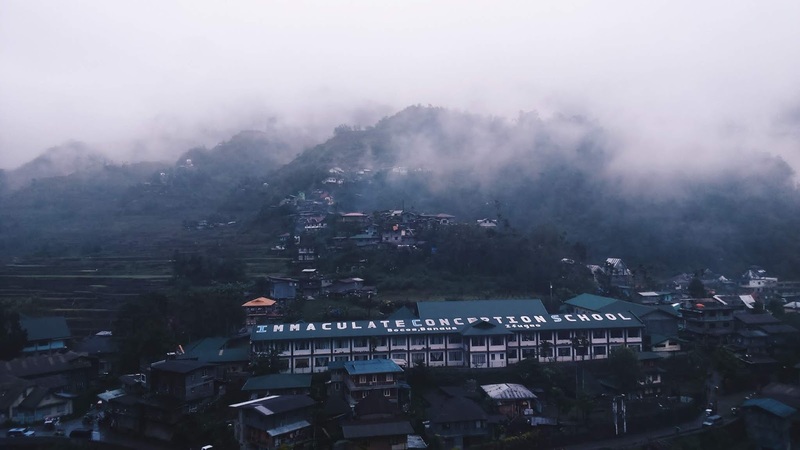 What are Sagada hanging coffins? We definitely love road trips and province-hopping. The tribes who once lived in Sagada has this tradition of hanging the corpse of their dead loved one on the rock formation, thus, creating a set of hanging coffins along side the mountains. Thanks for reading! If ever you're in Manila, Philippines you should try this as well. I hope you do visit Philippines. This looks so beautiful, and I love the natural landscape too. It's definitely an itinerary to see a different part of the country. Will add to the list if I ever visit! Thanks Lisa! Hope you can visit soon! Months from Jan-Feb are ideal to visit these places since they're extra chilly there. Haha! Love this post since I find that especially while travelling, a healthy diet is crucial: You are stressed out, you touch so much, i.e. you need a good immune system so dried fruits, fruits, salads, and other foods full of vitamins are so important to keep you going. Thanks for the concern! It was quite tiring to be honest. Lately, we just wanna visit all the places we could, so sometimes, we skip some meals or we don't get a lot of sleep at all. We'll try our best to relax in our upcoming trips! Hello and welcome to our site of travels, misadventures and lifestyle! I'm Rae Argallon, traveling the world with Cheloi Marasigan. Hope you find this blog exciting and trigger the inner traveler in you. SUSTAINABLE TRAVELING: How to Travel Eco-Friendly? Subscribe to our mailing list to get the latest itineraries, tips, and updates!